"That is so cool! How did she do that?" Bev (of Flamingo Toes fame) and I are moving from head to toe with tips to pamper, renew and refresh. This morning's giveaway moves us from face and eyes to hands and fingers. We can't all take time to visit a nail salon for a manicure, and we don't all have the money to either. But a good manicure is in your grasp if you have the right tools to give yourself one at home. And thanks to Carolyn at Sparetime Crafts, one of you will have those tools at your fingertips in your very own Etui box. An Etui box is a 23 piece box (including manicure tools) that holds all your manicure supplies. It is fashioned after the Chinese concept of "a box within a box". ~Tell the truth . . . do you have one funky nail on one of your fingers right now? You know . . . the kind of nail that snags on every sweater you put on because you can't be bothered to use a nail file. I do! Actually, I have three of them! ~Be or become a twelve crafts follower. Again, there are other ways to enter, so please follow because you want to hang out here with me . . . not because you want to win a giveaway. ~Visit Sparetime Crafts and tell me which color of Etui box you will choose if you win. ~Heart that box on Etsy (add it to favorites). 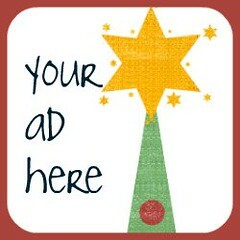 ~Leave some comment love for Bev on her blog. I don't have a funky one on my fingers, but I do have one on my toe, my pinky toe looks like someone squished it, and it stayed that way, lol. My husband calls it my itty bitty, because its so small, lol. Oh, and it snags constantly! I just trimmed my fingernails, but I do have a super funky toe with two nails on it. I am a twelve crafts follower. I checked out the shop and, honestly, I would pick the color combination you featured, the black and white. It's my favorite. cool box. My nails are always awful. So I have ten of "those kinds" of nails..
Well, if we're being honest I'd say I have 7 fingernails in need of some attention! My nails are horrific. I am a faithful follower of Twelve Crafts! I do have your button on my blog. alwayssewlove! I shouldn't but I just noticed yesterday that my manicure (that I did myself) cracked along the bottom because my cuticle is in such bad shape on one finger. Those are amazing boxes! I'd love one of the sewing boxes. I love the one she has as her profile picture but she doesn't have it in her shop so I'll have to go with the black and green one. I am a nail biter, sad to say, so my nails don't ever look that great. I follow Flamingo Toes too. I like the evening sky box in her shop. Ha! I *totally* have a funky nail right now! Two, actually. I could move furniture all day long and not break a nail, but let me try to fluff a pillow or put shirt on a hanger, and *snap* off goes the nail!! No fake nails for me...so I have to wait it out. I think my fav is the polka dot one. Though I like the black one with the green riboon too, but like the manicure sets over the sewing set. So cute though!!! I don't have a funky one, but that is only because I gave myself a manicure last night, but I noticed my manicure set could use an upgrade...wink wink! I am a Flamingo Toes follower!! I would without a doubt choose the teal and mustard box, those colors are sooo wonderfully yummy! my nails are ok but my short and need a manicure! I hearted the etsy shop also! Eek! I have several nails because I am terrible at biting them, but I really would love this to help me maintain them better! I would pick the teal/gold one! All my nails are funky and in dire need of help....nailbiter alert! I LOVE this box. The whole idea is just awesome. My funky finger is one that must have been stepped on or slammed in a door at some point -- the nail is completely not symmetrical and flat on one side, and the little veins in the nail are very prominent. But neither I nor my mother ever remember any trauma. Weird. 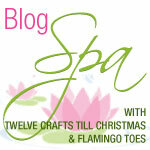 Blog Spa button on my blog too! Also a Flamingo Toes follower! I am completely digging on the green and black box. I can't get over how awesome the idea of a manicure-box-in-a-box is! And I have your button, proudly displayed. My favorite box is the black floral on green fabric, beautiful! All my finger nails are funky. I make jewelry and seem to always be doing something to one nail or another. I have one funky nail on my left hand that grows crooked...one side curves down as it grows and the other side curls UP...drives me crazy! i have one hang nail on one side that keeps catching and bleeding... it's so embarrassing to look down and have been bleeding all over!!! i'm now following you on google reader! i already follow flamingo toes... that's how i got here! i love the black floral print on apple green fabric etui box! oh I just looked. Two funky nails and two with dirt under them! went to check out the boxes. I like the mustard & blue combo! yes i actually just broke a nail and its all lopsided and weird looking, but of course I can't find my nail clippers or a file..because I don't have a cute box to keep them in!! I also like the sewing boxes too! I like the HandCrafted Etui Needlework Sewing Box the black and green one and I like the HandCrafted Etui Manicure Box in blue and golden yellow! I have added both of the items to my favorites and i added the shop to my favorites as well! Those would be great gifts to give as well! I always have at least one funky nail or cuticle. I'm a follower of 12 Crafts. I like the Pink Surprise color. I added the box to my favorites! If you would have posted this yesterday, I SO would have had to admit that my pinky nail on my right hand was a hot mess!! However, last night I got so frustrated with it, I filed it down. :-P But, now, I think my thumb nail feels neglected and is starting to act up! I favorited "Spare Time Crafts" on etsy! I am a follower of Flamingo Toes, too! I just plain need a manicure, but will not spend the money on it. I like the pink one with the lowers on the outside. Sadly, all my nails are funky..I am almost thirty and I still bite them. :-( Maybe some cute gear will convince me not to! being honest...I don't have any funky nails because I sat in my mini...van...and clipped and filed while waiting for my daughter to get out of school! My thumb nails have ridges. Didn't have them when I was younger. I'd pick the blue spiral needlework box. I like the apple green and black nail care box- they are very cool. OK, had to share my creepy nail story. Got a great french manicure a couple of weeks ago, but now it is cracking and gross. Then, last night I dyed my hair (took off the gloves when I shouldn't have, of course), and now two of the nails are dyed brown, along with the yucky cracking french manicure. It looks terrific, and classy too! Those boxes are sooo neat! I would choose the purple butterfly manicure box, or maybe the black and green manicure box...ugh...so many beautiful choices! I added Sparetime Crafts to favorites on etsy! I added both boxes to my favorites! And- I am adding lots o' comment love to both blogs...I'm a super commenter, lol! I'm a follower over at Bev's blog. No nails; I despise them and clip them off as quickly as they grow. They are just too hard for me to craft with or type on my computer - and those are the important things in life right?! I have two hands full of snaggle tooth nails. None of them are the same length; I have cuticle issues galore, and thy are dry, dry in this Colorado winter climate. I left some spa love on Bev's blog. I added Sparetime Crafts to my favorite shops on Etsy. i def have two or three of those nails! on my hands and my toes! my favorite box would be the poka dot box! i added the poka dot box to my favorites! left a comment on Bev's blog!! I'm a follower of 12 crafts for christmas. ... and I follow flamingo toes. I love the black and green box. I didn't get the gene for beautiful nails from my mother - darn it all!! I admit, I have a few now. I liked the green box. I follow 12 Crafts already! I like the black and white polka dot box. They're all so great! Almost forgot to tell you about my funky nail. My middle finger got shut in a car door when I was a kid and the nail has never grown right since. It grows wavey and is really hard to paint with polish, file, etc. I hearted Sparetime Crafts on Etsy as kluckingbear. I hearted the black & white polka dot box on Etsy as kluckingbear. 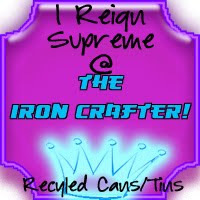 I"m a Twelve Crafts follower! I would get either the Evening Sky box or the Polka Dot box. No funky nails at the moment. Filed it last night. I'm a follower of 12 Crafts Till Christmas. My middle finger on my right hand is funky right now because I slammed it in the door and it's in the process of healing. I'm terrible and just bite the nails off ( did it about an hour ago! )Ohhh- my nails could definitely use some pampering!! I am a BIG follower of twelve days of Christmas!! I love the polka dots!!! my fav colors in the cutest pattern!!! ooo I hope I win!!! I hearted the box on Etsy! my nails are CONSTANTLY peeling, & that snags everything. I hearted the black & white box. 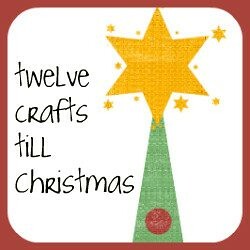 I'm a twelve crafts follower!! I LOVE the teal etui manicure box! !